An Israeli officer who survived the fog of war can go to some dark places if need be. 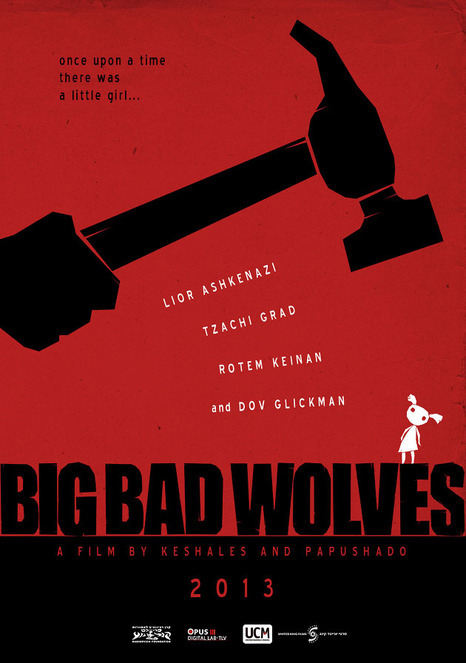 A rogue cop and the school teacher they both suspect of being a serial killer will learn this in graphic terms throughout the course of Aharon Keshales & Navot Papushado’s Big Bad Wolves, which screened during the 2013 Tribeca Film Festival. A sadistic murderer is preying on young girls. A cop about to snap thinks he has caught his perp. Unfortunately, his rough off-the-books interrogation is captured on video and posted on youtube. Placed on wink-wink suspension, Micki intends to clean-up his mess by hook or by crook. However, a grieving father beats him to the punch. Gidi is a veteran of the war in Lebanon, whose daughter was one of the victims. Although her body was recovered her head cruelly remains missing. He hopes to recover it and thereby reach some closure. Renting an isolated farmhouse near an Arab village, he intends to get down to business in the cellar, after coming to an agreement with the disgraced cop. However, strange complications and interruptions keep coming up. Keshales & Papushado, the duo behind Rabies, again demonstrate a mastery of one-gosh-darned-thing-after-another filmmaking. Considering how unremittingly tragic the subject matter is, Big Bad is unthinkably and disturbingly funny. Needless to say, it is humor of decidedly black variety. They capitalize on the claustrophobic tension to build the tension and toss each successive curveball with sly dexterity. Still, it would be nice to see the Israeli film industry occasionally produce an inspiring portrayal of Israeli society. Yet, the fact that Israel exports films like Big Bad as well as ideologically charged documentaries critical of the government is a testament to the country’s openness. One will not see authority figures depicted in a like manner anywhere in the popular culture of Israel’s neighbors, for fear of permanent reprisals. Tzahi Grad is a hardnosed standout, portraying Gidi with steely gravitas, yet showing a flair for deadpan absurdist humor. Rabies alumnus Lior Ashkenazi makes a suitable meathead foul-up as Micki. Yet, it is the ambiguous clamminess of Rotem Keinan’s accused serial killer that makes the film so devilishly effective. It seems appropriate Big Bad hits the festival circuit around the same time as the restoration of Fritz Lang’s M returns to revival theaters. While there are considerable narrative differences, the two films seem to speak to each other in strange ways, particularly in terms of the social chaos wrought by such horrific crimes. 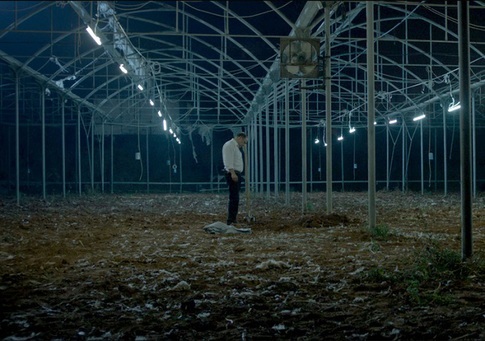 Recommended for fans of dark, subversive thrillers, Big Bad Wolves is sure to find extensive play in Israeli film showcases following its Spotlight screenings at this year’s Tribeca Film Festival.